Professional development | Diary of a Public School Teacher! 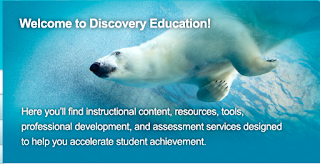 Well, Discovery Ed has come a long way baby, and it’s not just about videos anymore! I attended a professional development workshop today. I spent three hours with a roomful of 4th and 5th grade teachers who were being taught strategies from people who work with math, not with students, math. They are not teachers. Yes, they go into classrooms and try out their ideas, but they do not teach. I and my colleagues sat for three hours in a room, listening to something we could have been told in an half-hour. And let’s not forget, the forced collaborative activities, just to liven things up! They lost us in the first half hour. Have you ever been to a workshop in which teachers have no interest? Hushed, some not so hushed, conversations, doodlings scrawled all over agendas, eye rolling, and blank stares are witnessed all over the room. Rude? Yes, I agree, but having been stuck in countless situations like these, I empathize. Why not let teachers choose what they would like as professional development? I would think that we would know what we need. I am fortunate to be in a school where my principal values our opinion, however, that is not always true of the district. Not only is attendance mandatory, but then, you are forced to use what you are taught, good or bad. I have to admit, the first half-hour of the workshop was beneficial, but the entire workshop would have been even more beneficial and effective if the teachers in attendance from various schools were able to sit together and share ideas. Who better to learn from, then another teacher who is successful? Here’s another idea, why not let us work in our classrooms? Three hours of classroom time in the middle of the school year? Manna from heaven, seriously! Why are these options not available to us? My colleagues and I have come to the conclusion that ” they” are afraid we are going to goof off. So like children, our time is monitored. I’m not saying all district professional development workshops are horrible. There have been some really good ones, where, I not only learned a lot, but I used what I learned in my classroom. I would just like to see teachers treated professionally more often, and have our opinion count in the developing of our professionalism.